DNA sequencing of Giraffe provides the first clues about the genetic changes that led to exceptionally long neck, a feat of evolution that intrigues scientists. The research also reveals the genome of its closest relative, the okapi. An international team of scientists has sequenced the genome of the first giraffe (Giraffa camelopardalis) and its closest relative, the okapi (okapi). These two animals have very similar sequences of genes because they diverged from a common ancestor only between 11 and 12 million years, a relatively recent evolutionary time scale. “The tall giraffe, dominated by its long neck and long legs, with a total height that can reach six meters, is an extraordinary feat of evolution that has impressed and amazed for some 8,000 years ago,” said Douglas Cavener, a researcher at Pennsylvania State University (USA), who led the research team along with Morris Agaba, from the African Institute of Science and Technology (Tanzania – Africa). To identify the genetic changes that could be responsible for the unique characteristics of the giraffe, including its speed sprint that can reach 60km/h, Cavener and Agaba compared the sequences of genes encoding giraffe and okapi over 40 other mammals such as cows, sheep, goats, camels and humans. “Evolutionary changes needed to build the imposing structure of the giraffe, equip it with the necessary modifications to a sprint high speed and give powerful cardiovascular functions have been a source of scientific mystery for more than two centuries ago,” added Cavener. The heart of the giraffe must pump blood two meters up to provide blood to the brain. This is possible because his heart has evolved to have an unusually large left ventricle. It also has the twice higher blood pressure than other mammals. The researchers found that several genes that regulate the development of the cardiovascular system or control blood pressure are among those showing signs of giraffe adaptation. Some of them control both cardiovascular developments as the skeleton, suggesting the intriguing possibility that the stature of the neck and cardiovascular system evolved in harmony through changes in a small number of genes. “Despite this close evolutionary relationship, the okapi is more like a zebra and lacks the towering giraffe and impressive cardiovascular capabilities. For these two reasons, we have used sequencing to identify some unique genetic changes in giraffes,” said Douglas Cavener. 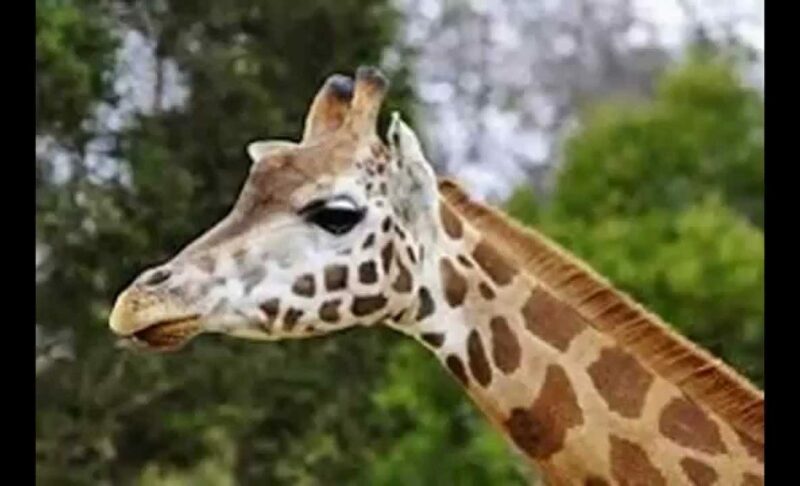 By comparing the genomes of giraffe and okapi, they have deduced that the long neck of the giraffe can be attributed to genetic changes in two sets of proteins: one that controls gene expression during development of the body and limbs, and other controlling genes expression of growth factors. The scientists also found genetic clues to the evolution of its long neck and legs. According to Cavener the cervical vertebrae and leg bones have evolved to expand. They found 70 genes that showed signs of multiple adaptations. “These adaptations include unique amino acid sequences that alter the function of certain proteins substitutions,” explained the scientist. Giraffes populations have declined by 40% over the last 15 years due to poaching and loss of their natural habitat. With this work, experts hope to draw attention to the situation of this unique species because at this rate of decline, the number of giraffes in nature will fall below 10,000 at the end of this century. Some subspecies are on the brink of extinction. So the okapi and giraffe diverged from a common ancestor? Let me guess, that is another of those "missing links," correct? Like the "common ancestor" between chimps and humans; and the "common ancestor" between small dinosaurs and birds? Isn’t the fact they are looking for these "missing link common ancestors" because the evidence indicates the differences between them are too great for them to be directly related? In fact, aren’t the differences between chimps and humans and small dinosaurs and birds both about 10 times greater than the similarities? Wouldn’t that normally be enough of a difference to falsify an hypothesis? 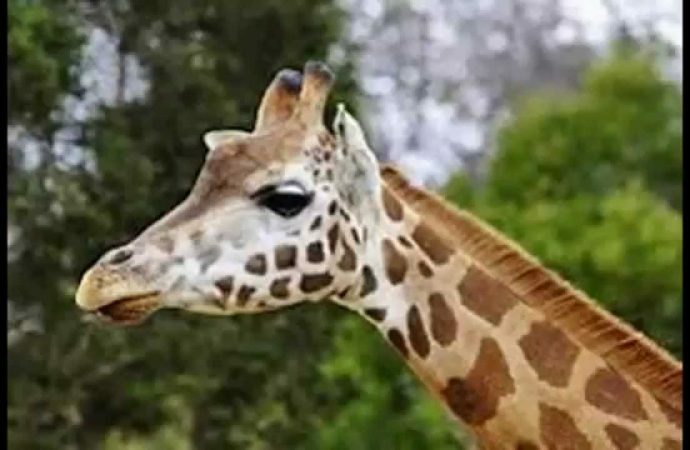 Maybe you should do a follow up to the giraffe article where you explain how the valves in the neck of the giraffe which prevents excess blood flow evolved at the same time the neck grew longer so they wouldn’t die from high blood pressure. While you are at it explain how the heart evolved features to pump the blood as high as necessary at the same time the neck was evolving longer. Don’t forget to include how all of these features evolved by random, chance, accidental, mutations that just happened to be beneficial.